It was a bit over nine years ago when AMD announced that they would acquire ATI, the Canadian graphics firm, developer of Radeon GPUs, and constant competitor to NVIDIA. In acquiring ATI, AMD set forth on a massive plan that forever changed how AMD went about building CPUs. The CPU alone would soon no longer be enough; CPUs would need to become something closer to SoCs, integrating I/O, graphics, and more. In AMD’s eyes the future would be fusion, and it would be ATI who would provide the missing pieces that would in time make AMD’s future whole. 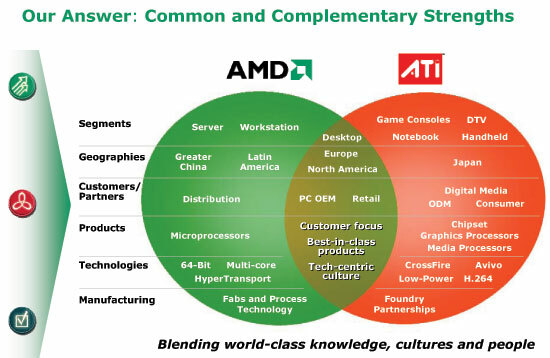 By and large AMD achieved their technical goals with the ATI acquisition. On the I/O side of matters AMD’s chipsets improved dramatically, reaching a level of quality AMD previously never could achieve internally, nor could external 3rd parties reach from outside AMD. Meanwhile AMD’s grander graphics related plans have moved along as well; the company successfully integrated an on-die GPU with Llano in 2011 – though not quite beating Intel to the punch. More recently the company executed on the first phases on their long-term Heterogeneous System Architecture project, forming the HSA consortium to make the project a group effort, shipping a preliminary HSA-capable processor with Kaveri in 2014, and following that up with a full HSA 1.0 capable processor this year with the launch of Carrizo. None of this could have happened for AMD without the ATI acquisition, and while AMD paid a high price at the time for the technology, in the long run it’s very likely that the fusion of AMD and ATI is what has kept the modern AMD an important player in the current marketplace. Which is not to say that things have been easy for AMD – they are if nothing else the perennial underdog – as the challenges posted by Intel and NVIDIA are greater than ever, and not all of AMD’s initiatives have seen as much buyer traction as they anticipated. On the other hand, thanks to CPU/GPU integration AMD has been able to branch into entirely new markets, securing both the Playstation 4 and Xbox One video game consoles, and this newfound semi-custom business is expected to be a cornerstone of AMD’s progression in the long run. Meanwhile on the business side of matters, the fusion metaphor wasn’t just a technology metaphor, but a business metaphor as well. When AMD set out to acquire ATI they didn’t just want a GPU business sitting next to a CPU business, but they wanted GPUs to be part of everything AMD. As we wrote on the matter in 2006 “Having each company operate entirely independently makes no sense, […] it's what these two can do together that makes this acquisition so interesting.” To that end over the first four years of the acquisition AMD slowly but surely worked to absorb and digest ATI, culminating in a deep level of integration and the retirement of the ATI brand. Reminiscing about the past aside, there is a point to taking a trip down memory lane, and that is understanding AMD’s past in order to understand their future. Today AMD is announcing a significant restructuring, one that in some ways even greater than last year’s business unit reorganization. Taking effect immediately, AMD is bringing the band back together. The company will be reforming a singular, monolithic graphics group – the Radeon Technologies Group – to oversee every aspect of AMD’s graphics efforts. The Radeon group will in turn be led by long-time ATI and AMD graphics guru, Raja Koduri. When I first saw this announcement the plan came as a bit of a shock, and for good reason. AMD has spent a significant amount of time and energy on making graphics a core part of the company at every level, and now the formation of the Radeon Technologies Group runs counter to some of those efforts. This is unquestionably a bit of backtracking by AMD, though a move that after 9 years they feel is necessary. Though I imagine most long-time AMD followers understand just what "graphics being an integral part of AMD" means at a high level, it wasn’t until this announcement that even I truly understood just how spread out AMD’s various graphics-related sub-groups have been. Between the various groups, AMD has had departments reporting to CTO Mark Papermaster, CVP of Global Marketing John Taylor, CVP and GM of graphics Matt Skynner, VP of Visual Computing Raja Koduri, and other executives within the AMD structure. 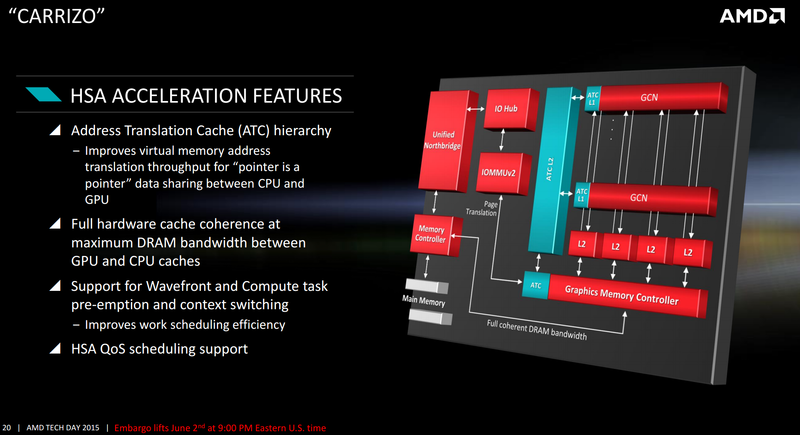 The end result is that graphics is truly everywhere within AMD, but at times it is also nowhere. 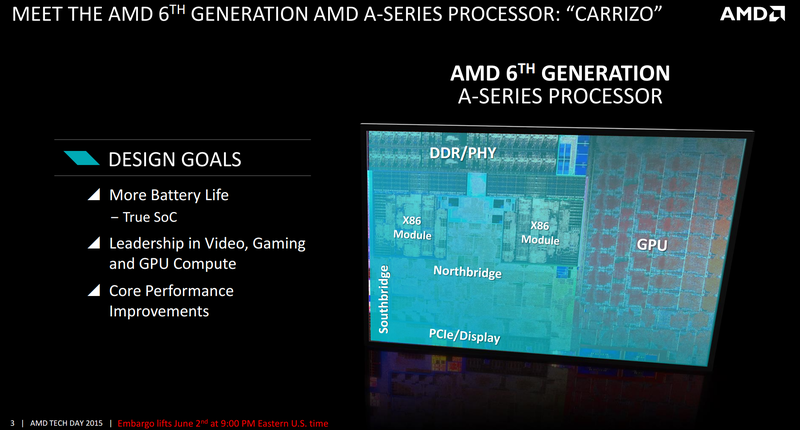 Having graphics spread out as AMD has been was intended to foster deep cooperation between the various AMD CPU and graphics groups, by making everyone vested in the success of AMD’s graphics initiatives. However from what I’m hearing with respect to today’s announcements, being spread out in such a fashion has also hamstrung AMD’s graphics initiatives at times. Having different groups under different executives controlling technology, marketing, ISV relations, and other aspects of the business has prevented AMD from being able to execute swiftly on the graphics front, and ultimately that has hurt AMD as a whole. The end result is that after 9 years there is a reluctant admittance within AMD that such a deep fusion of the businesses has not worked out like AMD expected. GPUs are still essential to AMD’s technology plans and the technology fusion is critical to how AMD operates, but how those products are developed and marketed within AMD needs to change. Consequently AMD has decided to take a step back and to reevaluate how they want to organize their graphics business. And the outcome of that evaluation is that the graphics business will once again become whole, with AMD in a sense turning back the clock and keeping graphics as its own unit. Leading this new group is AMD veteran Raja Koduri. 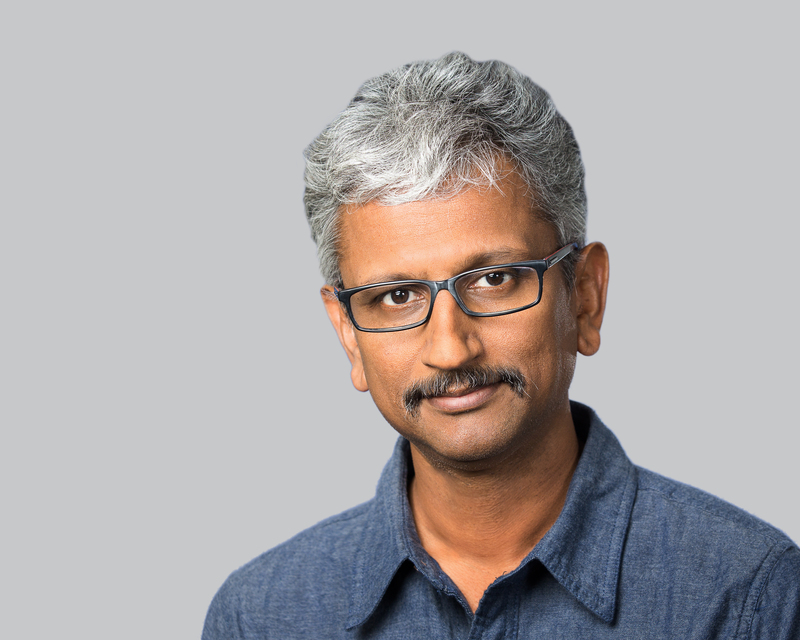 Prior to today Raja was AMD’s Vice President of Visual and Perceptual Computing, and starting today Raja is being promoted to the executive level as the Senior Vice President and Chief Architect of the Radeon Technologies Group, reporting directly to CEO Dr. Lisa Su. As of this writing AMD does not have their new executive organization chart up, but with this reorganization and promotion, Raja is being promoted to the same level as AMD’s other SVPs, and Raja’s group being made a counterpart to AMD’s computing and EESC groups. For Raja the path to the SVP position has not been a straight one. We previously wrote about Raja re-joining AMD in 2013, returning to the company after a four-year tenure at Apple, helping the company build up its own graphics technologies. As one time graphics CTO Raja is well versed in what AMD’s graphics technology is capable of, and as was the case around his return in 2013, Raja will be a critical part of AMD’s success with graphics technology going forward. In many ways then today’s reorganization and promotion is the culmination of re-integrating Raja into AMD, embracing Raja’s task on a larger scale. Raja is no longer just overseeing AMD’s graphics hardware and software, but he is overseeing every facet of graphics at the company. Marketing, ISV relations, and more all fall under Raja. Raja in turn has a grand task in front of him, figuring out how to steer the reformed graphics group after it has spent so much time in pieces. AMD’s market share of consumer discrete graphics has never been lower, and overall for x86 graphics vendors AMD is in a solid third place behind both Intel and NVIDIA. It will fall to Raja to orchestrate how AMD can recover this lost market share while also reinvigorating AMD’s graphics marketing and ISV relation efforts, all the while ensuring AMD continues to design awesome graphics architectures for APUs, discrete GPUs, and the embedded/semi-custom market. Raja will face significant challenges, but there is likely no one better suited for the task than Raja. For the rest of AMD, this reorganization represents both a beginning and an end. Radeon becoming whole again will with any luck give the group the swiftness it has long needed and couldn’t find under the rest of the AMD bureaucracy. AMD is certainly trying to sell this reorganization as a positive thing, and having worked with so many people from AMD’s graphics side over the years I can only imagine that by and large for many of them this is a welcome change. On the other hand this is a reorganization, and while it’s not in AMD’s press release, from what I’m hearing the current CVP and GM of graphics and long-time AMD/ATIer Matt Skynner, will be leaving the company, so there will be changes at AMD besides just who reports to whom. As for the Radeon Technologies Group’s immediate future, it will be interesting to see how long it takes the reorganization and Raja’s promotion to have a visible impact. When Raja first came back to AMD it was to take on hardware and software, the technical aspects of the graphics business where development is measured in years. However the rest of the graphics business that now falls under Raja’s control – the PR, the marketing, etc – operates on much smaller time scales and should be easier to change. What those changes are remains to be seen, but I’m hopeful that we’re going to see the first fruits of this change in time for the expected 2016 launch of AMD’s next-generation FinFET-based GPUs. The hardware will have been locked in for some time now, but Raja will have ample leverage to now change how AMD handles the launch of the hardware. Finally, in the longer term, what remains to be seen is if Raja can reverse what has without a doubt been a difficult period for AMD. I think it would be remiss to point out that this kind of a reorganization would also be the precursor to splitting AMD and selling/merging parts of it, however from everyone I’ve talked to this doesn’t appear to be the plan. 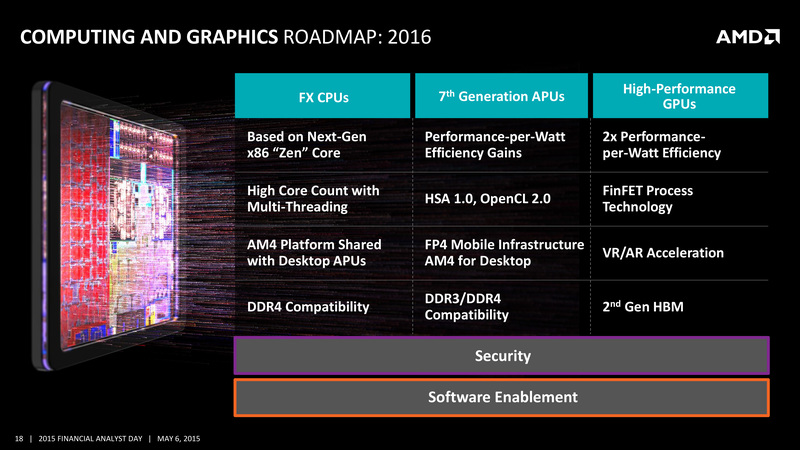 Rather there is a lot of energy over at AMD backing this reorganization, and that by making graphics whole again and putting it under the steady hand of Raja Koduri, AMD believes they can reinvigorate their graphics group. In the end time will tell, and for the time being there is a great deal of hope that in making Radeon whole once more AMD can carry on in what has been a 30 year legacy of graphics hardware development.